On March 26, 2019, a meeting with the Delegation of the European Union to Ukraine took place at the University. 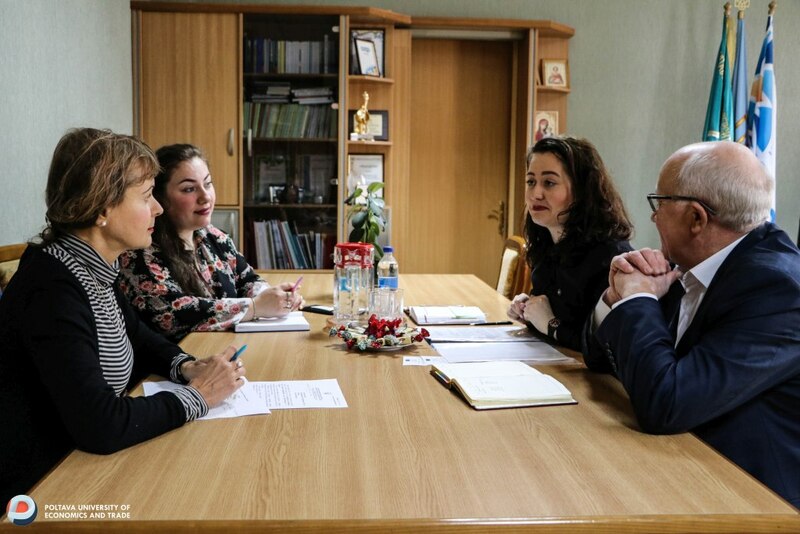 The purpose of the visit was to discuss the possibility of opening the Information Center of the EU Delegation in Poltava and the prospects of cooperation with the University. According to Iryna Stadniychuk (press and information department of the EU Delegation to Ukraine), the Information Center should become an educational, value center of the European Union, which will act to promote democratic and civic practices. The activities of the center will be aimed at: forming the European image of the city, promoting Ukraine's integration into the European socio-cultural space; cooperation with graduates of Euroclasses and Euroclubs; creating opportunities for the regional public to receive information on the basic principles of the European model of development. The team of Poltava University of Economics and Trade, aware of its social and civic responsibility, convinced of the correctness of the European choice of Ukraine, seeks to join the creation of the EU Information Center in Poltava. Convinced of the efficiency and effectiveness of the work!